December 03, 2018, 6:00 p.m. Seven in ten (71%) New York City residents say they’re friendly with their neighbors, while only a quarter (25%) say they’re not. Majorities in all 20 cities are more likely to say they’re friendly than unfriendly. Miami (68%), Cleveland (67%), Los Angeles (67%) and Detroit (67%) were also particularly likely to say that they’re friendly with their neighbors. Phoenix was the city where people are the least likely to be friendly with their neighbors, though over half (56%) say that they are, while four in ten (40%) say they are not. Interestingly, although New Yorkers are the most likely to say they’re friendly with their neighbors, they are not the most trusting of their neighbors. Out of 20, they’re the 16th most trusting, with 70% saying they trust their neighbors and 19% saying they don’t. 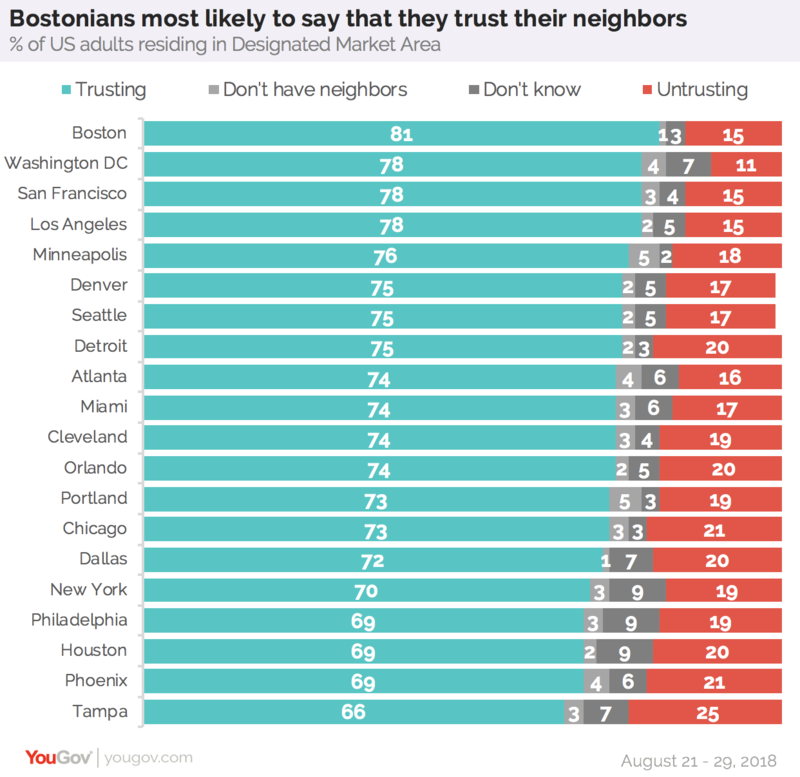 The city that’s most likely to say they trust their neighbors is Boston, with eight in ten (81%) residents saying they trust their neighbors. Only 15% of Boston residents say they don’t trust their neighbors. Majorities in all 20 areas are generally trusting of their neighbors, but the city that is the least likely to say they trust their neighbors is Tampa, where one-quarter (25%) are untrusting. However, a much larger percentage (66%) in this area say they do trust their neighbors. The respondents surveyed in this YouGov Citybus study reside in the following Designated Market Areas: Atlanta, Boston, Chicago, Cleveland, Dallas - Fort Worth, Denver, Detroit, Houston, Los Angeles, Miami - Fort Lauderdale, Minneapolis - Saint Paul, New York, Orlando - Daytona Beach Melbourne, Philadelphia, Phoenix, Portland - Oregon, San Francisco - Oakland - San Jose, Seattle - Tacoma, Tampa - Saint Petersburg, Washington DC. 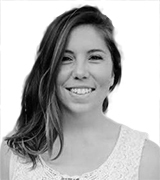 Read more about what these residents think about smoking and vaping and texting while driving in their respective cities.